Discussions Magazine Music Blog: SPAZ reviews two CD titles from TRACIE YOUNG, the Mod pin up and '80s Pop princess! SPAZ reviews two CD titles from TRACIE YOUNG, the Mod pin up and '80s Pop princess! Back in '84, practically every one of my male friends wanted a girlfriend that was just like Tracie Young - talented, stylish and beautiful. Her look was both Mod and modern at the same time... and she was a prodigy of Paul Weller (formerly of The Jam, then of The Style Council)! Heck, she was not only nurtured by Weller, she sang on the final Jam single ("Beat Surrender") and the first Style Council single ("Speak Like A Child") and she was signed to his Respond Records label. So, naturally, all of that made her 'cool' in Weller fans’ eyes... Thankfully, Tracie had the talent to back up her association with the Modfather and she was surrounded by some great talent (including Weller and members of other Respond Records bands like The Questions). Why she didn’t become a bigger star is mind-boggling, indeed. Professionally known at first by her first name only, Tracie released her debut solo single “The House That Jack Built” in 1983. A delicious slice of Pop with a heavy Soul vibe, the track was a great introduction to a young (18 at the time) talent with a voice influenced by both ‘60s Girl Groups and Motown. Her next single later that same year was the even more soulful “Give It Some Emotion”, another slice of ‘80s delight that owed as much to the ‘60s as it did to any of her contemporaries. When her debut album, Far From The Hurting Kind, was released in 1984, it revealed how quickly she had matured as a vocalist and the full-length platter was filled to the brim with songs that ranged from the soft and tender “Spring, Summer, Autumn” (penned by Weller, who also recorded it as a TSC b-side) and “(I Love You) When You Sleep” (written for her by Elvis Costello) to the Gospel/Soul of songs like “Thank You”. If comparisons were to be made, then this debut was the missing link between The Style Council’s Café Bleu and Our Favorite Shop - it retained the exploratory feel of the former and the slick production of the latter – but lacked the pretentious nature of either. This was an album that may not have been earth-shattering but revealed a young artist that lived up to her association with one of the UK’s most influential musicians. Cherry Red’s reissue of the album adds her first two singles (the previously mentioned “The House That Jack Built” and “Give It Some Emotion”) to the album’s running order (they were not included on the original LP) as well as some ace b-sides, mixes, and a few newer radio sessions as well as replacing the album version of “Souls On Fire” with the extended mix (which now means that the original album version is not currently available on CD – a minor complaint). In a nutshell, this is a slice of ‘80s Pop/Soul that may sound dated production-wise but is filled to the brim with a genuine joy that reflects this exciting era of music. 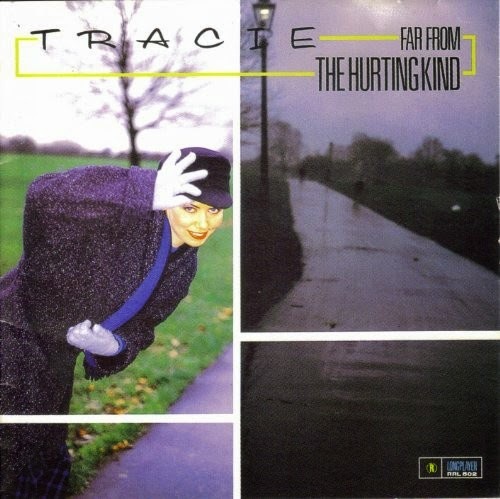 Tracie released two singles in ’85 and another two the following year, all earmarked for her second album that was due in ’86 but was never released. Tracie Young disappeared from the music scene shortly after that – surfacing a decade later as a radio presenter – but whatever became of that second album? 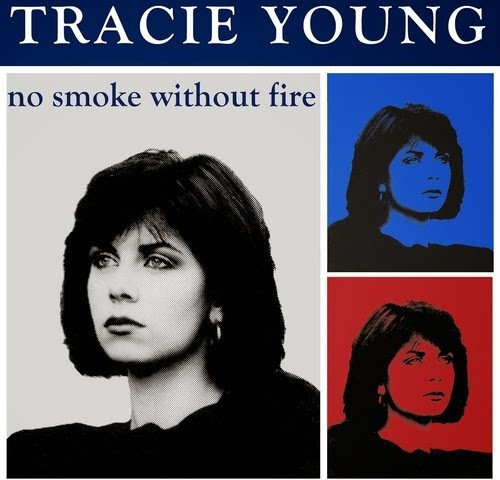 Thankfully, Cherry Red went back into the vaults and pieced together the long rumored album, finally issuing No Smoke Without Fire in May 2014, approximately 28 years after it was originally planned for release. When listening to the album all these years later, it is difficult to fathom why it never saw the light of day in the first place. While it may not have a track as instantly loveable as “The House That Jack Built,” it is actually a much stronger album overall than Far From The Hurting Kind. The album is, again, dated by slick ‘80s production, but still sounds remarkably fresh and exciting. No Smoke… is far more musically focused than her debut, leaning towards Pop although her love for Soul is never too far away. Weller was not involved with the album, although Tracie does a nice beefy version of TSC’s “(When You) Call Me” (one of Weller/TSC’s most popular b-sides). Her version of George McCrea’s “I Can’t Leave You Alone” is fun as well, but it is tracks like “Italian Girl,” “Invitation,” “Fingers Crossed,” and “I Think You’re Luck” are solid efforts that make one wonder how someone at her label would choose to let this sit on the shelf. No Smoke… was certainly a lot more engaging than a lot of other albums from the same period. The bonus material includes remixes, rarities and a few previously unreleased tracks plus a few more recent recordings from Tracie. There was a single A-side from this period that did not make this reissue so that is mildly annoying but there is so much good stuff to enjoy that it is easy to ignore that fact. Both releases are essential for any ‘80s pop enthusiasts as well as Weller/Style Council fans. This is top Pop, man! Amazing reviews!! Interesting one is the Pop Pricessses. Thank you for reading, Lisa!